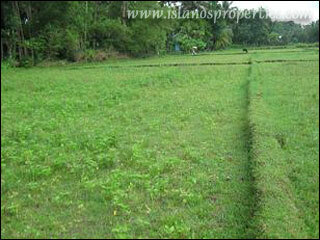 The lot is a rice field and is along the road of the national high-way bound for Caticlan, Malay, Aklan. This is situated near the seashores of Pandan Antique. This is also near the tourist spot named Malumpati Health Spring about 3.5 kilometers away. The place is peaceful. The place is 45 min ride by car from Boracay Island.